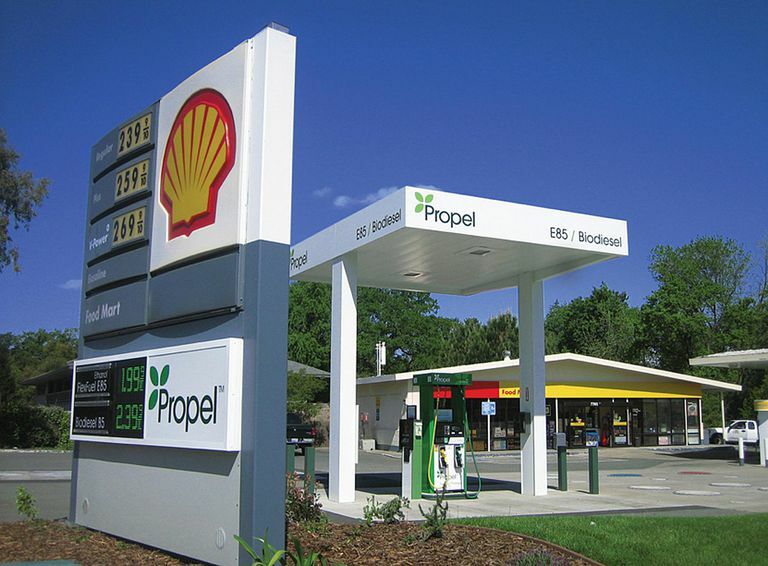 Biodiesel and E85 fuels are dispensed at California’s Propel Fuels stations. Carbon neutral is a term used to describe carbon-based fuels that when burned will not increase carbon dioxide (CO2) in the atmosphere. These fuels neither contribute to nor reduce the amount of carbon (measured in the release of CO2) into the atmosphere. Carbon dioxide in the atmosphere is plant food, which is a good thing, and it also helps keep our planet warm. However, too much CO2 can lead to what we now call global warming. Carbon neutral fuels can help prevent too much CO2 from accumulating in the atmosphere. It accomplishes this when the released carbon is absorbed by plant crops that will help produce tomorrow’s next gallon of a carbon-neutral fuel. Every time we travel in a gasoline or diesel-powered vehicle, we add greenhouse gases to the atmosphere. That’s because burning a petroleum fuel (which were created millions of years ago) releases CO2 into the air. As a nation, 250 million passenger vehicles are currently registered, about 25 percent of all passenger vehicles in the world. In the U.S., our vehicles burn around 140 billion gallons of gasoline and 40 billion gallons of diesel a year. With those numbers it’s not difficult to see that every gallon of a carbon-neutral fuel that is burned can contribute to the reduction of CO2 in the atmosphere, thus helping to reduce global warming. Many people believe the future lies with carbon-neutral alternative fuels made from crops and waste products that are known as biofuels. Pure biofuels such as biodiesel, bio-ethanol, and bio-butanol are carbon neutral since plants absorb the C02 released by being burned. The most common carbon neutral fuel is biodiesel. Because it is produced from such organically derived resources as animal fats and vegetable oil it can be used to recycle a wide range of waste material. It’s available in a range of blend percentages—B5, for example, is 5 percent biodiesel and 95 percent diesel, while B100 is all biodiesel—and there are biodiesel filling stations throughout the U.S. Then there’s the small number of drivers who homebrew their own biodiesel and some who convert their diesel engines to run on straight vegetable oil recycled from restaurants. Bioethanol is ethanol (alcohol) that is produced by the fermentation of plant starches such as grains like corn, sugarcane, switchgrass and agricultural waste. Not to be confused with ethanol that is a by-product of a chemical reaction with petroleum, which is not considered renewable. In the U.S. most of the bioethanol comes from farmers who grow corn. Many American passenger cars and light-duty trucks can operate on either gasoline or a bioethanol/gasoline blend called E-85—85 percent ethanol/15 percent gasoline. While E-85 is not a pure carbon neutral fuel it does produce low emissions. The big downside to ethanol is it is less energy-dense than other fuels, so it reduces fuel economy by 25% to 30%. With gasoline prices hovering around $2 a gallon E-85 is not competitively priced. And good luck finding a gas station that sells it outside the Midwest farming states. Methanol, like ethanol, is a very strong alcohol made from wheat, corn or sugar in a process similar to brewing, and is considered the most energy-efficient fuel to produce. A liquid at normal temperatures, it has a higher octane rating than gasoline but a lower energy density. Methanol can be mixed with other fuels or used on its own, but it is slightly more corrosive than traditional fuels, requiring engine fuel system modifications on the order of $100-$150. During a brief period of time in the early 2000s, there was a small growing market for methanol cars in California until the state’s Hydrogen Highway Initiative Network took command and the program lost support. Sales of these cars were sluggish due to the low price of gasoline at the time and the lack of service stations that pumped the fuel. However, the short program did prove the reliability of the vehicles and garnered positive feedback from drivers. Algae—specifically microalgae—is a source for a carbon-neutral alternative fuel. Since the 1970s federal and state governments along with private investment firms have poured hundreds of millions into algae research as a biofuel with little success to date. Microalgae has the ability to produce lipids, which are known as a potential source for biofuels. These algae can be grown on non-potable water, perhaps even wastewater, in ponds so it is not using arable land or massive amounts of water. While on paper, micro-algae seems like a no-brainer, formidable technical issues have flummoxed researchers and scientists for years. But the algae true believers aren’t giving up, so maybe someday you’ll be pumping an algae-based biofuel into your car’s fuel tank. No, diesel fuel from water and carbon dioxide is not some Ponzi scheme intended to fleece dim-witted investors. Last year Audi, together with German energy-company Sunfire, announced it was able to synthesize a diesel fuel from water and CO2 that can fuel automobiles. The synthesis creates a liquid known as blue crude and is refined into what Audi is calling e-diesel. Audi claims that e-diesel is sulfur-free, cleaner burning than standard diesel and the process to make it is 70 percent efficient. The first five liters went into the tank of an Audi A8 3.0 TDI driven by Germany’s Minister of Research. To become a viable carbon-neutral fuel, the next step is to ramp up production. Our addiction to oil has had dire consequences. It seems that the logical solution would be to develop or discover an alternative carbon-neutral fuel not derived from petroleum. 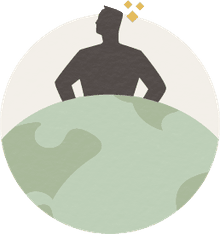 However, finding an alternative that is abundant, renewable, economical to produce and environmentally friendly is a complex and difficult challenge. The good news is, as you read this, scientists are working hard on this difficult challenge.